I have thought about distributing this through the podcast, but as people expect an audio file, not a PDF, I decided it was better to post this PDF here and allow anyone to download it … for a short time at least. • Recording in and out of the studio, equipment (studio, microphones, recorders), using a smartphone, using a digital recorder. • Podcast platforms, blog and social media, making the mp3 audio file, setting up your podcast host, registering with iTunes, Stitcher and TuneIn. • Digital Promotions, using Facebook, Twitter and other social media. Using more traditional methods of promoting. • Copyright. Staying within the law. 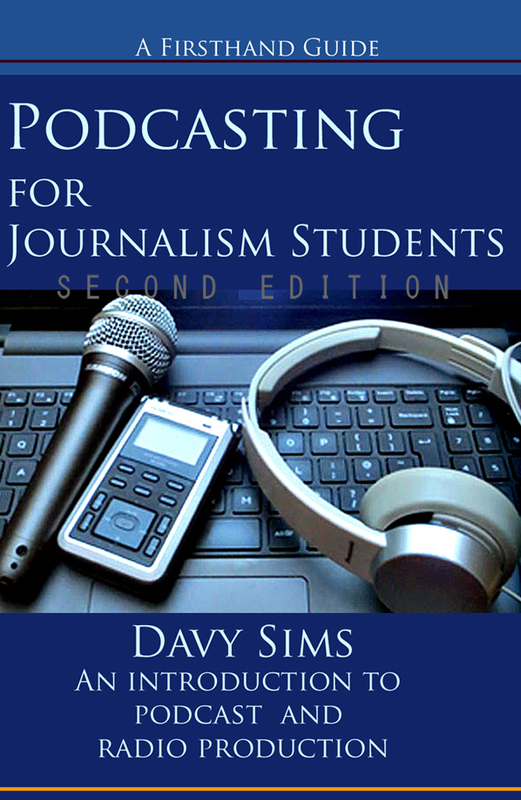 Journalists, newspapers, magazines, television programmes, any supplier of news, opinion or information can use podcasting to increase their reach, promote their main publication, bring additionality to their subscribers. People who were once “ink only” journalists are producing radio – to various levels of professionalism. They range from the pathetically poor (failing to understand simple production processes like audio quality or engaging audiences) to podcasts that are high quality technically and editorially. Many have turned to audio podcasting as a strategic way to bring distinctiveness to their brand. Producing a podcast episode should be an enjoyable experience, and the listener must be able to enjoy listening. It’s not about you as the producer and presenter, it’s about the listener. Demarcations of the past are becoming meaningless. Magazines produce audio podcasts, newspapers make video, radio stations produce websites and so it goes. A journalism student beginning work in a newspaper or magazine, might well get opportunities to produce stories for the publication’s podcast. Better still, a talented journalist might be offered the opportunity start a brand-new podcast. This book, and its predecessor “Podcasting for Communities”, answers the question “How?”. Find out more than you ever thought you needed to know right here. You don’t need to be a part of an organisation to produce a podcast; any single person or team can produce stories cheaply and easily and bring those stories to their audience. This is not meant to be a book you begin to read at page 1 and work your way through. 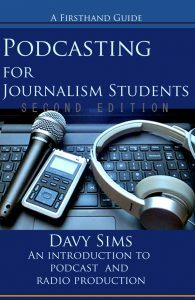 It is intended to be reference for when you want to understand aspect or learn more about radio production and podcasting. We can all be podcasters now because the tools to produce a podcast have never been so cheap (some, free!). The access to distributing our radio programmes on the internet has never been easier. Even the process to get our podcasts listed on iTunes is simpler than ever before. Although there is a lot more competition. There are more tools available to us and they are easier to understand.